The CD that accompanies the book contains nine new jam tracks. These songs range from slow to very fast, and they demonstrate common deviations from the standard 12 bar blues, including one in a minor key. 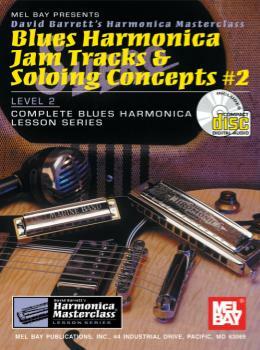 In the instructional portion of this book/CD set, you'll study phrasing and learn how to build solos and instrumental songs as the 12 bar blues structure repeats during a song.